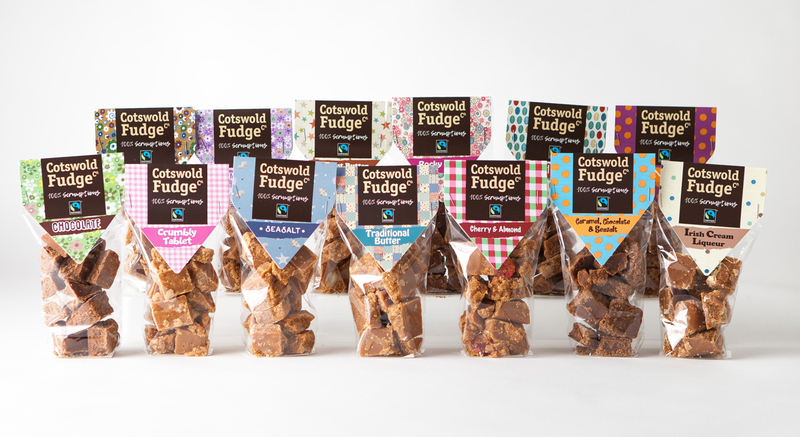 If you are interested in becoming a stockist of Cotswold Fudge or Cotswold Tuck Box ranges, we would be delighted to have a chat with you. We can supply on a small or large scale depending on your need, and can offer a bespoke service on request. We always make to order so you can be sure your stock is always fresh, but do bear in mind that means a two week lead time on orders. We predominantly work with UK based retailers, but also sell overseas and would welcome international trade enquiries from overseas distributors and global retail chains. If you are looking for corporate gifts, or wedding favours or wish to order our fudge in bulk (not in our retail packets) we would also love to hear from you.